Almost 25% of people with diabetes do not realize if they are suffering from the disease. Everyone aged over 45 years, overweight, or have a family history with diabetes have an increased risk of type-2 diabetes. One of the triggers of diabetes is the pancreas is not functioning well due to infection. When this happens, the pancreas will not produce enough insulin, so blood sugar levels are high. The experts argue that if someone has a waist size exceeding 88 cm, then she has a greater risk of developing diabetes. People who rarely exercise also have a higher risk of diabetes than those who exercise 2-3 times per week. Just exercise walking for 30 minutes was able to help. The risk of diabetes will increase with age. Research shows 80% of people with diabetes over the age of 40 years. 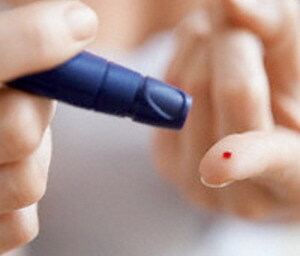 Another factor is the trigger of a family history of diabetes. If your mother, father, or a close relative suffering from diabetes, the child was at risk of developing diabetes. The above description suggests diabetes can be caused by many things. Apply a healthy lifestyle and exercise is an easy way to keep us healthy. As with other medical conditions, knowledge about how to prevent diabetes is more valuable than mengobati.Oleh therefore, take steps for diabetes prevention should take precedence. This is especially true if a person has diabetes risk factors that increase the chances of suffering from this disease. Most people who are diagnosed with diabetes (type 2 diabetes usually) have more weight. Excess weight and body fat increases the risk of developing diabetes. 2. Know your family history. The possibility of a person developing diabetes later in life will increase if in the family there are one or more members who have diabetes. Regular exercise can help prevent diabetes by controlling body weight and improve blood flow. Sport is very important especially if someone genetically includes groups with high risk factors. 4. Eat a balanced diet, low in fat and sugar. Diabetes is a disease characterized by a decrease in the body's ability to produce or use insulin to convert sugar into energy, so it is important to limit the amount of sugar and carbohydrates consumed. Any person over the age of 45 years should have a regular schedule of checking blood sugar levels every 3 years. However, if one includes groups with high risk factors, routine screening should begin at an earlier age. 6. Monitor blood pressure regularly. Approximately 73 percent of adults with diabetes was also suffering from high blood pressure. 7. Increase consumption of fruits and vegetables. The results showed that bioflavonoids, dye in fruits and plants, will stimulate insulin production and inhibit glycation or bond breaking processes glucose molecule to a protein that stimulates the formation of advenced glycation end products (AGE). While most AGEs are harmless, others may interfere with molecular and contribute to organ and nerve damage.